I have been continuously working to improve my blood sugars during the past several months, but I am still seeing many more yellow lines than I'd like to. And unfortunately, it's sometimes the Rebound Effect when I go all Ketchup-y into low blood sugars, overtreat that low, and then rise up into the mustard world. Not long ago, I remember a middle-of-the-night low at home. No clue what the numbers were, but I remember standing in the kitchen consuming a single juicebox and a piece of bread with some PB on it. Yes, this was probably enough. But I also remember the minutes counting by, and still feeling low. Even after 10 minutes, another blood test showed I was still low. So, I proceeded to inhale food... and just like a vacuum, pretty much everything in my path was doomed to be eaten. Of course, I failed to track this in my insulin pump and didn't dose. 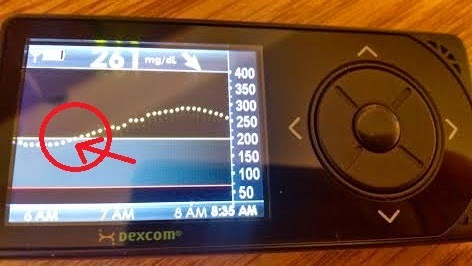 The next morning, curious about what I had eaten and flinching from the High reading on my CGM and meter, I did a little D-math on the whiteboard we have on the fridge. Added up pretty much everything that I'd eaten, and it turned out to be 200+ carbs that I didn't dose for. That was the first real cause and effect and after-thought that I'd given to this trend. Then, a conversation came up with my dad about how this happens. On a recent visit up to Michigan, I went through the same overnight low experience and helped myself to some food and treats in the kitchen. Nothing near the earlier time, but still more than I needed at the time. Yes, I knew better. Before I even ate anything, I knew that stuffing that much food into my system would lead to high blood sugars. So, why didn't I just not do that? Eat just enough to bring myself up to mayo-white numbers to be safe? 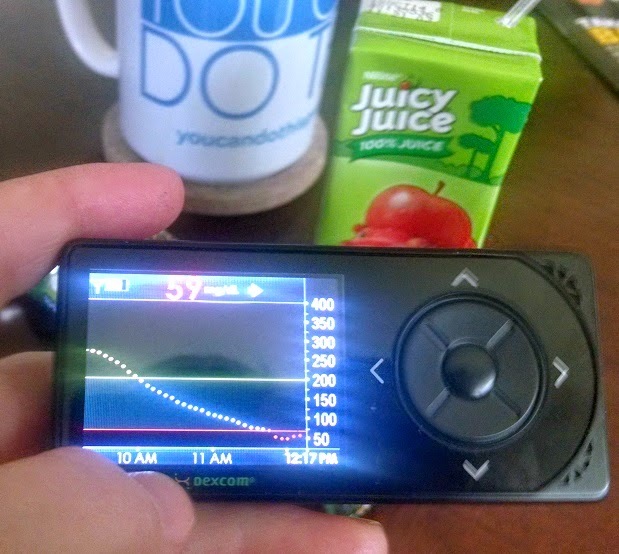 It was tougher than I thought to put into words why exactly I over-treat, knowing that my blood sugars will go High. At the time, I didn't have much to say except "it's a feeling that you just don't want to be low anymore, and you want to know you're safe and not going to stay low." That hypoglycemic, scared, confused, unable to make my body respond to commands from my mind, stuck-at-the-bottom-of-the-well feeling that lasts only minutes but sticks with me for hours. After lows that rattle the bars of the emotional cage I keep my diabetes in, I feel vulnerable and exposed and more content to wake up with a blood sugar of 235 mg/dL than to revisit the 35 mg/dL. We aren't thinking clearly, and much of the time (for me, at least) my willpower is completely zapped when it comes to treating a low. I just want to feel better, and any consequence past that is pretty much out the window. It does take discipline to not do this, and I know it can be done -- I see others do it all the time, and I've been there myself. But it takes time, and like most things when it comes to D, it takes time to address. For me, this is one of two of the top issues I need to address in order to get my BGs in range more often. The other issue is evening carb-counting, and avoiding evening snacking as much as possible... that's also a work in progress, as I've started replacing the hallmark crackers or carb-heavy snacks with fresh-cut veggies. 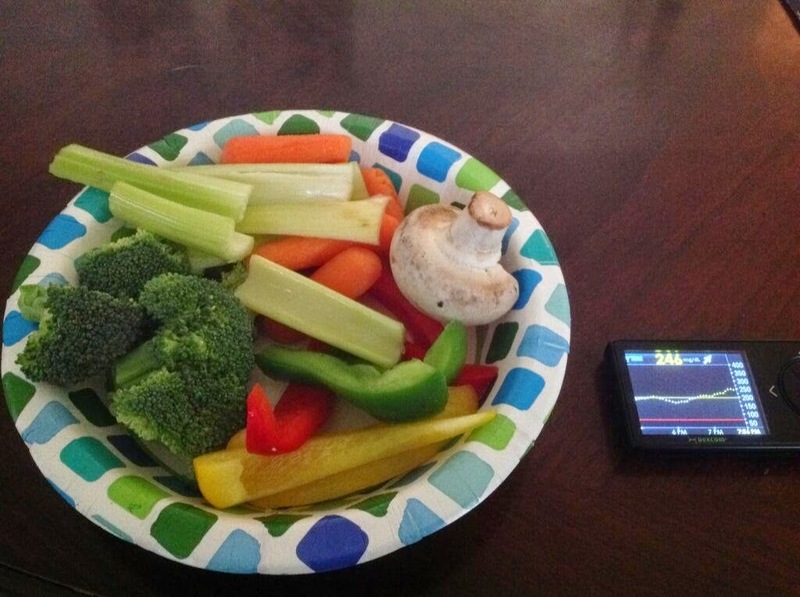 "Hold the carbs, ketchup and mustard... but I'll have some mayo with my veggies, please." But you get the point. 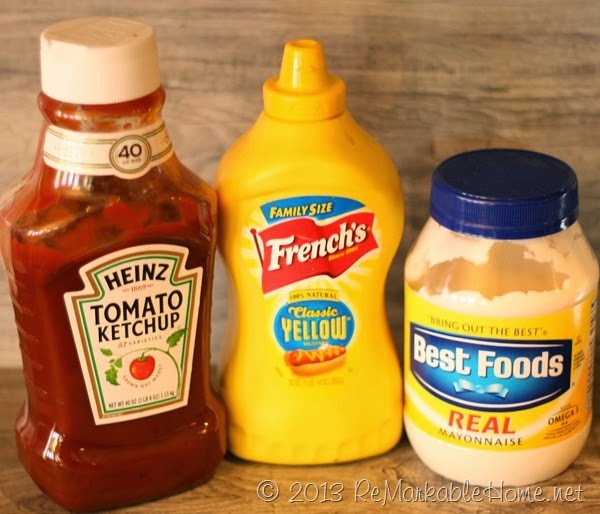 At this point, in looking at my Ketchup and Mustard saturated lines, I see the need to get some more discipline in my life and to keep with the practices that I put in place. 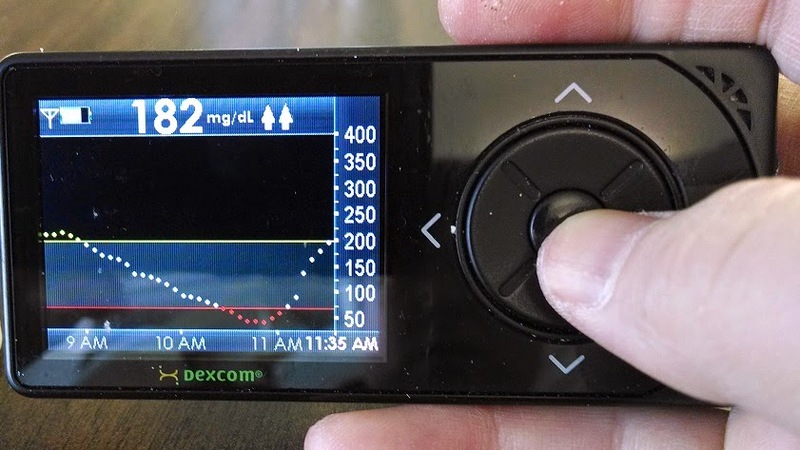 And hopefully, with that, I'll see a lot more Mayo on my Dexcom screen going forward. I guess you could think of it as blue cheese dressing instead. Oh... sorry to give you another mental picture. Never mind. Mike explained this inclination to me better than he thought he did. Kerri's comment makes it even clearer. I understand the urge to overeat / treat so you feel safe. I guess I do the same thing when I am confronted with my wife's low. Last evening I got worried when she didn't return from the bedroom where she was putting on her PJs. I found her covered in sweat and pretty out of it but still alert enough to walk into the kitchen and sit down. I got her 3 oz. of apple juice and a cheddar cheese stick. She wasn't coming back to normal quick enough so I got 2 halves of graham cracker and spread on some PB. She came around pretty good after about 20 minutes or so and we were able to converse. It was after midnight and I wanted to make sure she had enough to get through the night without another low. I tried to get her to eat some more so I could go to bed. She refused, claiming she was fine for the night. She was right and I was wrong. She made it just fine and woke up with a BG of 135. She has developed the discipline to avoid overtreating a low but it was a hard thing to do. I guess I need to work harder to develop the discipline not to try to force her to overtreat so I feel safe. The moral of the story is the safety net feeling can also apply to a caregiver.